WWE Main Event & NXT Review: Can Leo Kruger Hunt The Big Game Of Becoming A Babyface? When the Main Event was relaunched last year, reports were that Ion Television , specifically said they didn't want it to become another Superstars. Apparently one year later, that plan has gone we have to wonder if the Wednesday night program will go the way of the dodo? 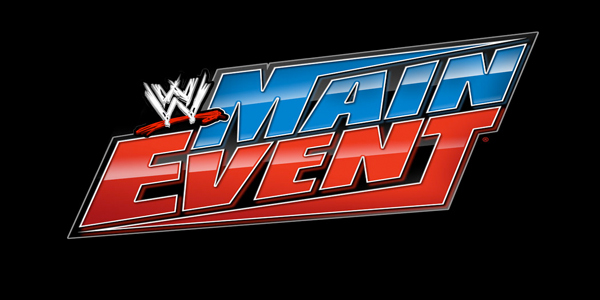 Remember when they would build matches on Main Event with video packages having one featured contest? Now, it just seems like another show. If you need any illustration that this happened, check out this week's episode from Columbus, Ohio. We begin the night with Josh Matthews and Alex Riley at the announce desk. Riley's arm is in a sling apparently after having shoulder surgery. I guess the Miz isn't coming back anytime soon. The action begins with a three on two handicap match with Tons of Funk versus 3MB. The match is nothing really special. Although seeing Brodus Clay come off the top rope was rather interesting. Surprisingly, Heath Slater, Jinder Mahal and Drew McIntyre (apparently he's not going solo) get the win. Nothing really to this. Josh and Alex talk about CM Punk and Ryback at Hell in a Cell on October 27 in Miami. Aksana goes against AJ's new bodyguard Tamina. Again, not a solid match. Although reports say that WWE is high on the Lithuanian diva I just don't see other than her appearance what she brings to the table, But it is what it is. Tamina takes a page from Meng playbook nailing a Mafia kick for the win. I think that's a better move for her than the splash. I think this bodyguard role really suits her. Maybe with the Divas Champion on the shelf with a concussion this will give her more of a focus.. Then we get the final match of the night as Zack Ryder versus Big E. Langston. It's amazing how far Langston has fallen off in recent weeks. The match itself was decent as Langston gets outsmarted by Zack in the beginning but overpowers Ryder by the end with the Big Ending.. We get a recap of The Big Show/Triple H situation. From an interview on WWE.com, the COO says that legal action is to come from the situation. Plus, we hear of the updated card for Hell in a Cell including the return of John Cena. Let's move on to something of a bit more fulfilling with this week's NXT. They open the show with a video package looking at RVD as he will be making a guest appearance tonight. Tom Phillips and Alex Riley from the past welcome the audience to the show. The action begins with a really awesome match with Antonio Cesaro versus Leo Kruger. It was a hard-hitting back-and-forth playing off of last week's ending. These two really shine in this battle of pride. Kruger is brutalized all over the arena with slams on the apron, on the ramp and all over the arena. The story of the match is Leo just won't quit doing his best to overcome Cesaro and his ferocity. The very eccentric Kruger seems to be very over with the crowd and it definitely seems like a turn to the Babyface side is in his future. I just hope it doesn't take away from his character. In the end, after a few counters Antonio finally hit the Neutralizer for the win. But that's not all as the Real American goes up top getting a knee on his down opponent. Doesn't look like this is over anytime soon. Coming back from commercial, René Young joins the the desk for this week's Divas contest Santana Garrett (from Shine and Shimmer) goes against Charlotte with Bayley. During the match. Summer Rae and Sasha Banks come down to the ring in an attempt to distract the NXT divas. They don't really have an effect in Charlotte gets the win. After the match, Sasha and Summer get in the ring saying that they're going to run the WWE soon. Summer says thank you for getting rid of Women's Champion Paige. They ramble until the anti-diva shows up and attacks her aggressors. Soon they get the advantage on her and Emma comes to the rescue. We see the hype package for the no hype needed Mojo Rawley from last week. He is debuting this week Coming back from commercial, Tony Dawson talks to Summer Rae and Sasha who challenge Paige and Emma to a tag match match they agree to later on in the night. Mojo Rawley defeated Danny Burch using the Earthquake Squash. Rowley is very high-energy reminding me a lot of the Ultimate Warrior. Overall I like the character. We will see how this goes for the former NFL star. Sylvester LeFort comes in his money pants introduces his Legionnaire Scott Dawson and Alexander Rusev to battle Enzo Amore and Colin Cassidy once again. The crowd is definitely not SAWFT on the faux blood Italians. The pair definitely have something but this was not the greatest showcase for the duo. Dawson and his Hungarian cohort dominate with Alexander winning with his camel clutch The Accolade on Enzo Amore. The brute then put the move on his partner as the Legionnaire stands tall. Backstage, we get an interview with René Young with Sami Zayn who is very excited following his victory last week. He says he can't wait for his title match next week on television. Bo Dallas comes in and says that Sami is just not ready yet. He says why not go for the tag titles with him having them rule NXT. Sami says it's not a bad idea. Maybe after next week when he wins the title. Sami definitely seems to be finding himself and is able to play well off of Bo Dallas smarmy character well. Dallas has great if only accidental facials during the segment. It should be interesting to see what happens next week. And we get the final match of the night with RVD versus the twenty-first century star Aiden English. Aiden's gimmick has gotten over. I understand giving the crowd something to go home happy on but why not give English a win elevating him. English made Rob look great bumping all over the place. RVD wins with the five-star and celebrates as we go off the air. Once again, NXT should really be a focus of your watching this week. The only thing that's really extraordinary is Leo Kruger versus Antonio Cesaro. Without a doubt one of the best of the week. It's a shame see what Main Event is turning into but NXT still gives you something don't usually expect. Until next week.